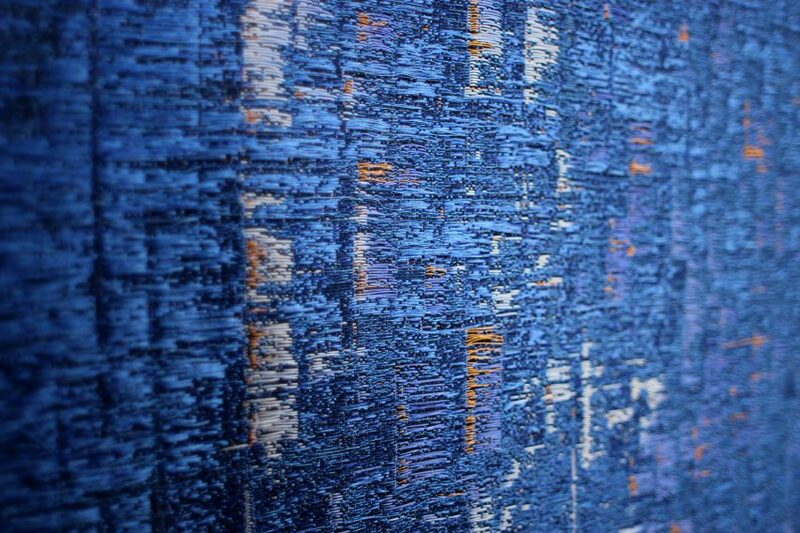 Arnhem-based designer Richard Vijgen has created a colour-changing tapestry from thermochromic yarn that visualises Wi-Fi signals emitted by smart devices. 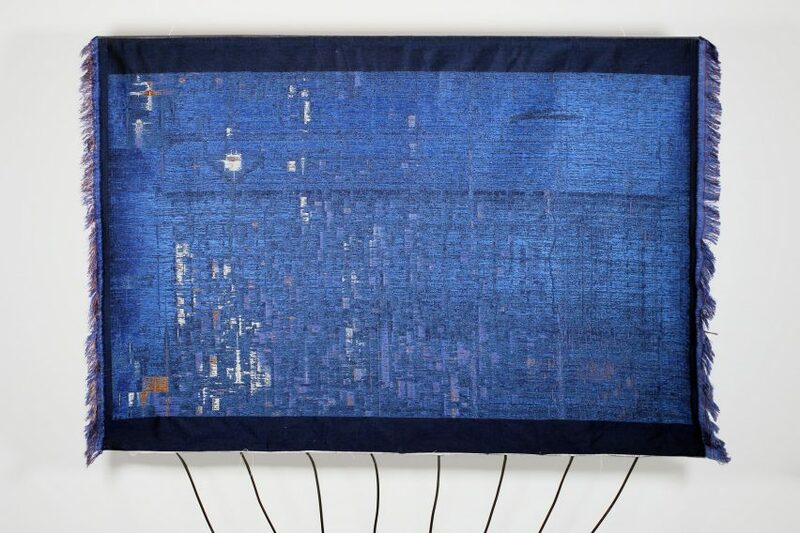 Presented at Dutch Design Week as part of an exhibition called Work In Progress, the Wi-Fi tapestry is linked to a controller that is able to tune in to signals sent out by phones, computers and other smart devices. 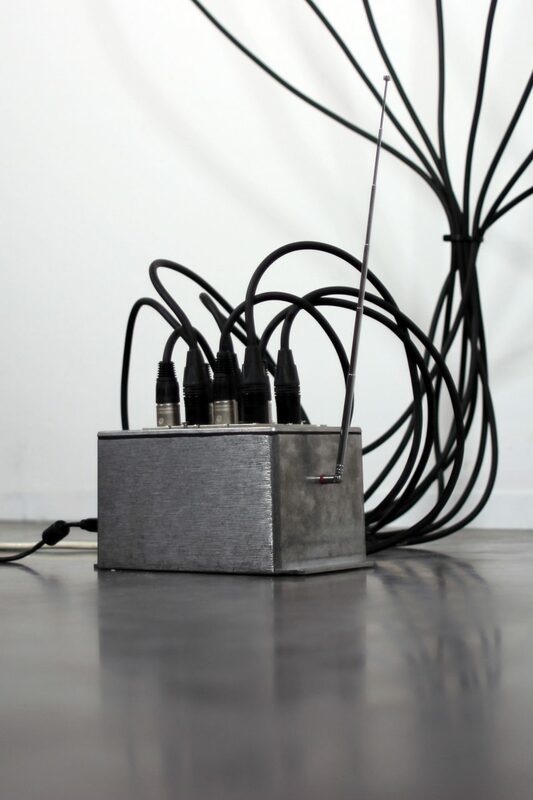 When it detects activity, the controller converts the wireless signals into an electric current that is delivered to the tapestry via a series of wires. The thermal elements embedded in the tapestry then convert the current to heat, which causes the thermochromic yarns to change colour. Once activated, the fibres turn from midnight blue to a silvery white and back again. As Vijen develops his Wi-Fi tapestry further, he is interested to see how it behaves in different spaces and at different scales. Also exhibiting at the event was Design Academy Eindhoven graduate Fujita Keisuke, whose Voltaic Realism installation used real-time tweets from people expressing suicidal thoughts to activate a motor-powered needle that scratches away at a monolithic block of carbon.